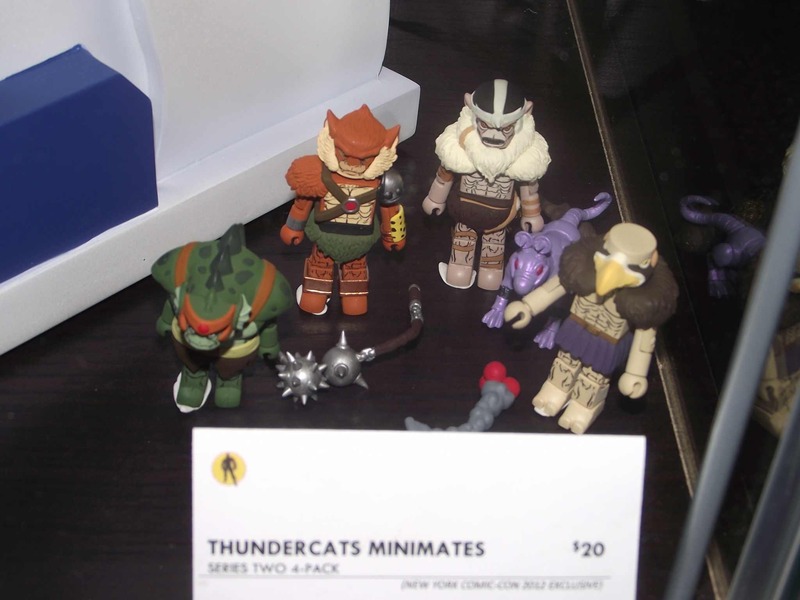 SDCC 2012: Thundercats Minimates Series 1-3!!! The Thudercats have arrived at the 2012 San Diego Comic Con. The REAL Thundercats. The true, classics that we all grew up with loving in the 80’s have finally been done true justice with the latest series of Minimates from Art Asylum and Icon Heroes. To get you started on your way on this great collection, Action Figure Xpress is offering the first set of these great minimates as exclusives to the con. For the unbeatable price of just 20 dollars, you get Lion-O, Panthro, Mumm-Ra, and the Spirit of Jaga. 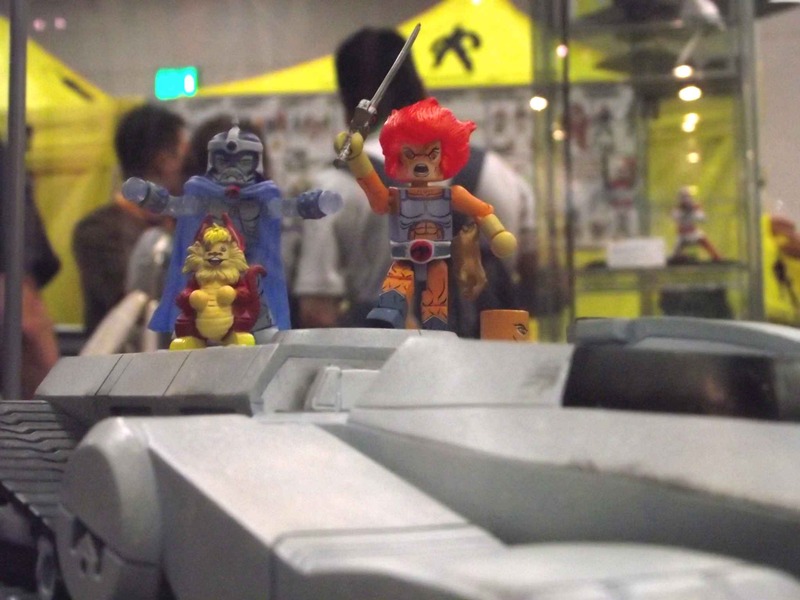 But that’s not all, you also get a bonus 5th minifigure with Snarf! Series 2 brings us all the cool animal bad guys: Jackalman, Monkian, Vultureman and the reptilian Slythe. 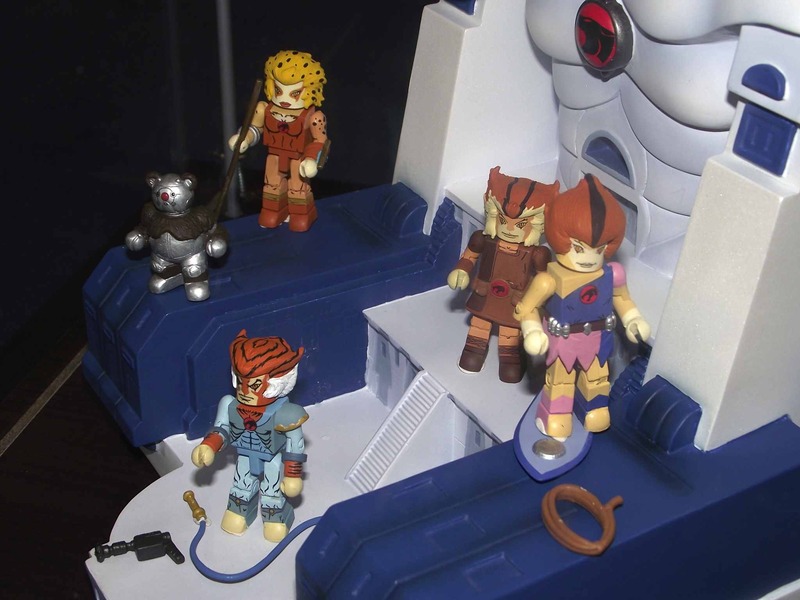 Series 3 evens out the battle, bringing the rest of the Thundercats to the fray. Tygra, Cheetara, Willy Kit, and Willy Kat. Each set comes with a bonus minifigure, like the Berbil! Make sure to get your series one set at the con and look for a review next week here on Pastrami Nation! Next SDCC 2012: WWE Superstars Invade Comic-Con!